If you are in need of expat recruitment services, we are here at Alliance International to take care of the needs. We are an expat recruitment agency of repute that can handle all your recruitment for expats. At Alliance International, we are not limited to our services in any particular country. We are doing expat recruitment Middle East recruitment for our clients. We at Alliance International can be your perfect expat recruitment agencies for overseas recruitment. We will help you to finding the right candidate who will augment your international objectives. Our disciplined set of expat recruitment services will give you complete transparency with a wide range of options and benefits. We have the contact of some of the best talents who can serve your industries positively. 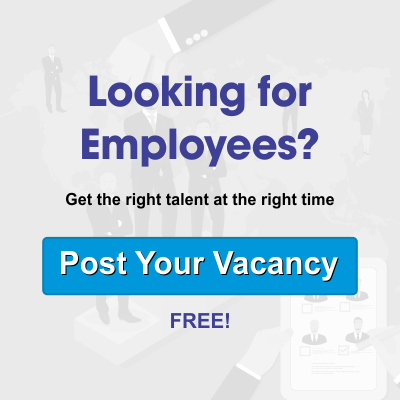 Benefits of expat recruitment can be immense to a company who is thinking of geographic expansions as well as hiring the right resource who is proactive as well as multi-skilled. It is important for the company to contact the right expats recruitment agency who can provide the much-needed assistance in expat search. We can do the expat search for your requirement for the Middle East also. As expert expat recruiters, we ensure that you find no difficulty in handling your international business locations. Any company thinks twice before hiring an expat for their international operations or services. Having an employee who will be fluent with different diverse ranges of an economy is a necessity to survive the competition. However, there are some challenges in expat finder. The cost of expatriates is much higher than an equivalent position that they would have back at home. Getting the right resource who will be adept in handling international culture as well as ambiance. Exposure to multicultural and cosmopolitan approaches of a particular economy may be hard to finding job. We are your ideal working expert recruiters who are well versed with the dynamics of the different markets and their respective requirements. Our services will help you address your needs to augment growth in geographies with effective resources able to handle international assignments. Complete adherence to the imminent requirement for a particular country role and the specifications that the company requires. Expats who are global in all accounts and well versed with the market needs. Professionals who are equipped to handle international pressures and subsequently build successful international relationships. As an overseas recruitment agency, we will give a complete dedication to finding candidates who will settle first and deliver your international objectives. We recruit expats for Dubai, Qatar, Singapore, UK, USA and South Africa. The global economy is rapidly evolving with time. Multi-skilled professionals are required across borders and territories. The need to get the right resource who can meet your organization goals can be challenging. It is often seen that companies do search for expats who make deliberate efforts to make their star shine in another and find their careers. We have a large experience in the recruitment of expats. We have recruited many expats for multiple industries. This experience can help in getting the right talents. We charge affordable rates for the job we do for our clients. This has made us retain most of the clients. They come back to us for the services again and again. We take into consideration the customized needs of each client. If you want certain special requirement, we can take care of that. We act upon the requirements very fast. We do not allow your business to suffer due to delay from our end. Our experts meet fixed timelines. We meet them for every customer so that they do not face delay in the business process. We provide experienced expats who will be able to handle your needs. They have worked and handled foreign assignments with great efficiency. We supply quality assured manpower. We have a very good reputation for maintaining the quality of our services throughout. Our target is to achieve total customer satisfaction for our clients. We have a very good record of supplying highly commendable expatriate manpower. We assure you of total satisfaction from our services. You will find no scope of raising your voice. This will make you get further expatriate requirements from us. We consider success as success only if the clients are happy. Looking for job expat somewhere? Contact us for quick and affordable expat recruitment solutions.